Welcome to the Official Witching Hour UK Website! Please note that this site is still very much Work In Progress. We just thought it was best to get something online in the form of an official website. You will see big improvements in the coming months as we add content and improve the layout etc. So watch this space! 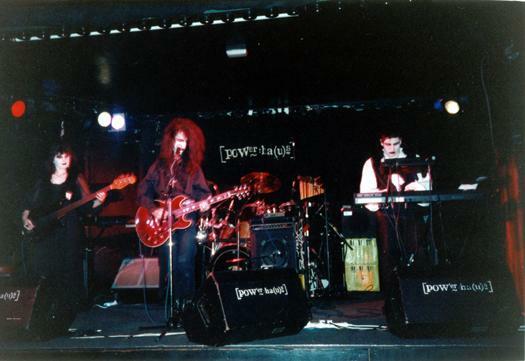 The band originally formed back in 1991, with Trevor Barnes on guitar and vocals, Alys Sterling on bass guitar and D.B on keyboards.There very first gig was at the Turks Head, playing a selection of orginal songs and cover versions. 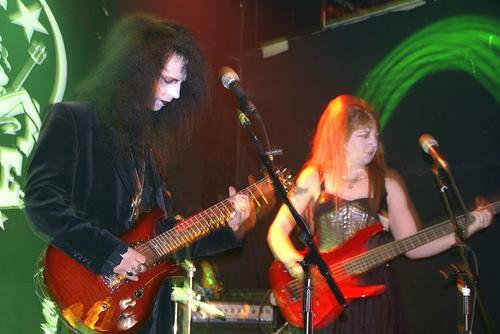 D.B fancied himself as a bit of a club promoter so the band played residencies at a number of places includng Camden Underworld, with bands such as Nosferatu and the Marionettes. D.B eventually left the band due to differences and was replaced with Alex Winton on keyboards. More gigs followed with the new lineup, including spots at the legendary Powerhaus in London and Cafe Translyvania in Birmingham with bands such as the Dream Disciples. Alex eventually left the band to pursue other interests to be replaced by the bands third and final keyboard player, Ash. More gigs followed including playing support in Scotland with the now legendary London After Midnight. Witching Hour also released there first release on vinyl, the Hourlgass E.P, soon followed by the debut album Exhumation on cassette, followed by the second E.P on cassette; She's Alive. Ash eventual left the band due to inconcileable differences. 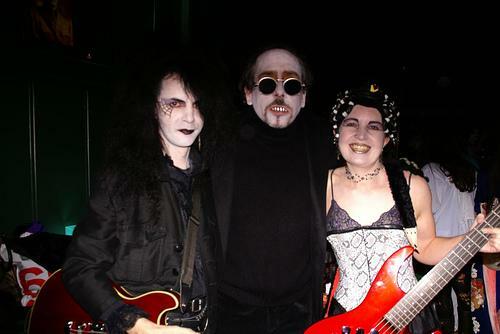 In 2006, after a very long hiatus, Trev and Alys agreed to play live at a private Halloween party and this pretty much triggered the official return of Witching Hour! Soon after this followed the setting up of an official Myspace page and a Facebook page. The renewed interest in the band was very positive, which led finally to the back catalogue being digitally remastered and re-released on iTunes and C.D. Also, the promo videos for She's Alive, Your Cries and Carnival of Souls were released onto YouTube for the very first time, to a very positive reaction. New gigs followed, including a couple of spots at The Purple Turtle in Camden and at an all-day goth festival in Birmingham. This aslo led to Witching Hour playing in Madrid with the awesome The Eternal Fall. In October 2011, the band finally released their second album Raven, to coincide with a live spot supporting the excellent band Pretentious Moi at Nambucca in Islington, London. Witching Hour are now very much back and active as a band. 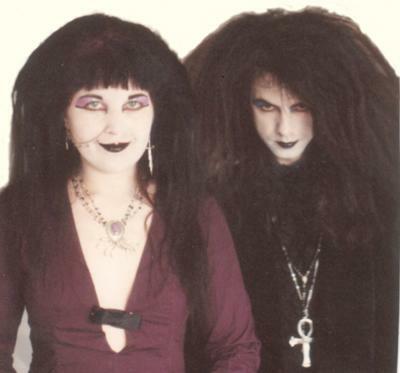 They have remained a two-peice, but are still very much trad-goth and are very proud of their heritage. With plans for more gigs, more releases and more promo videos, the future will be very exciting, so watch this space!